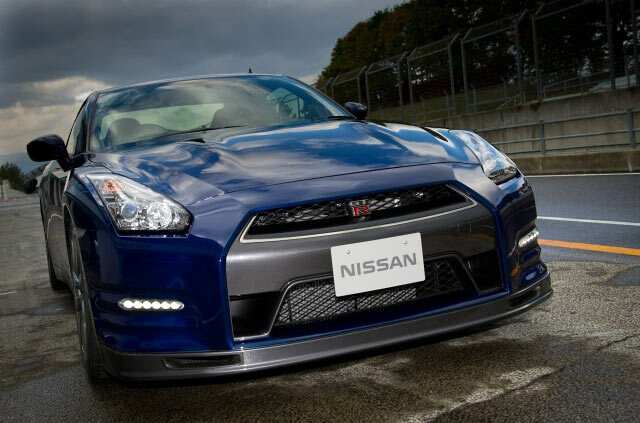 Information on the Japan 2013 Nissan GT-R, US market 2014 Nissan GT-R is just starting to hit the streets today. No offical word on the US market car, but the Japanese market cars give us a good idea what we will see here. 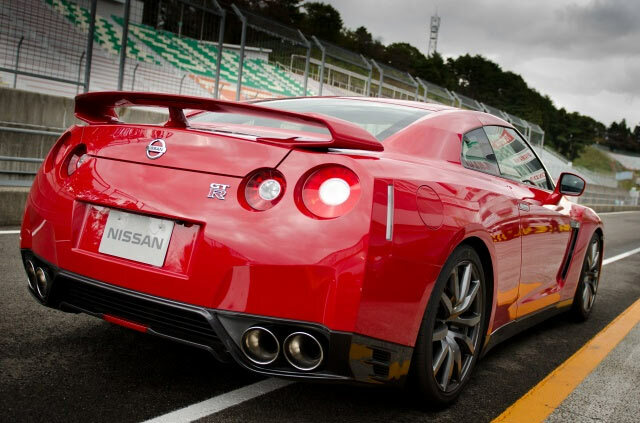 The 2014 Nissan GT-R is even faster than the 2013 car, even though the stated maximum power is unchanged. Torque from 4,000-6,000 RPM's has been increased. 7:18.6(7:19.1?) at the Nurburgring, and 0-62 mph times of 2.7 seconds. Check out the videos and info below. Just a few minor updates, along with some interior changes. The GT-R's roll center has been lowered improving its high speed stability. Also new cam bolts, and new front driveshafts and hub bearings have been installed to increase reliability. 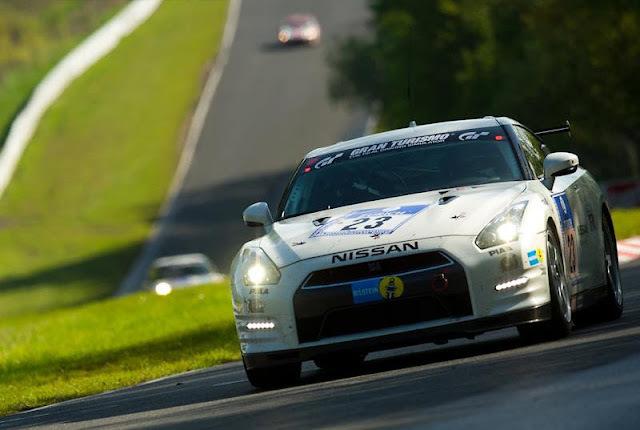 Things they found out racing at Nurburgring. 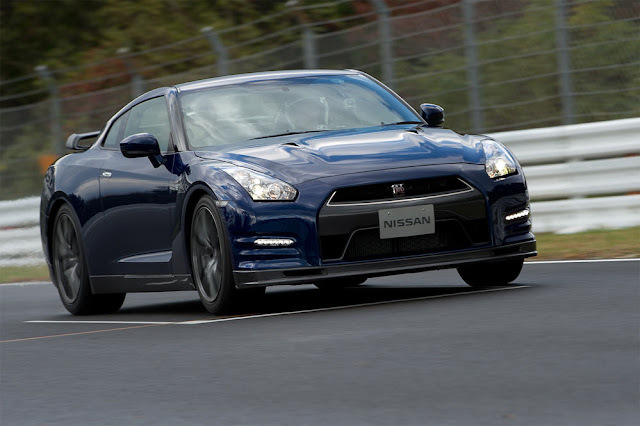 The 2012 model recorded a 7:21 min lap and 0-62mph acceleration of 2.8 seconds and now the 2013 GT-R has raised the bar still further with a lap time of 7:18.6 min and 0-62mph acceleration of 2.7 seconds. Pure Edition: The quality level of the interior has been improved by changing the color of the stitching and adopting a thicker seam on the instrument panel and door trim. Black Edition: An attractive red-and-black color combination steering wheel increases the car’s sporty flair. RECARO carbon bucket seats are available as a factory installed option. 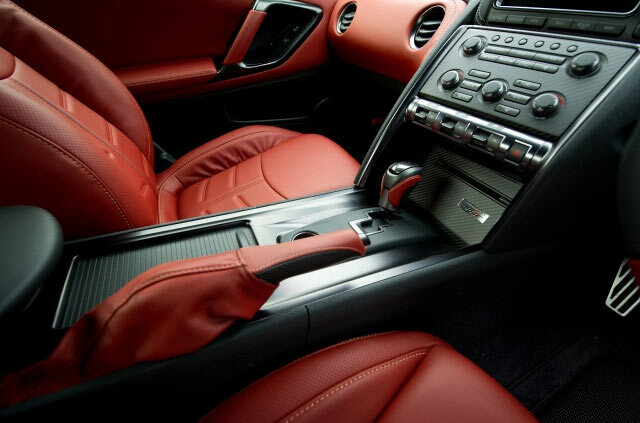 Premium Edition: A new two-tone interior color of Amber Red and Black adds style to the interior as option for fashionable interior package. Hand-stitched genuine Semi-Aniline leather front seats have also been added. Some new 2013 Japan interior upgrades. No word on the US interior yet. 2014 Nissan GT-R. Brake ducts on this version. Looking for some more info. 2014 Nissan GT-R Brake ducts on this version. Looking for some more info.